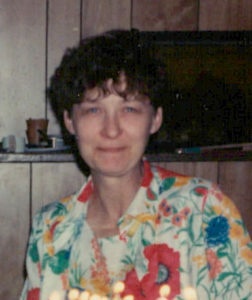 Martha Sue Cole, “Marty” age 70, of Grand Marsh, Wisconsin passed away unexpectedly Thursday, March 28, 2019, at Moundview Memorial Hospital & Clinics in Friendship. Services will be at her son James’s house. Marty was born January 19, 1949, in Alabama. She earned her GED with one of the highest scores. Marty and her husband Larry of 43 years owned and operated Cole’s Motel and the Wooden Nickel Inn. She then worked on the production line at Perry Printing. Marty enjoyed reading, doing crossword puzzles, watching classic T.V. shows and traveling. She loved animals and donated to ASPCA and the Humane Society. Marty was preceded in death by her parents, and sister, Mary. So sorry to hear this. She was such a nice lady. And great to work for. My sympathy goes out to Larry and her family. May she RIP. Martha was always so nice whenever I saw her. I used to work at Grand Marsh Bank, so I saw her almost daily. Condolences to the family.